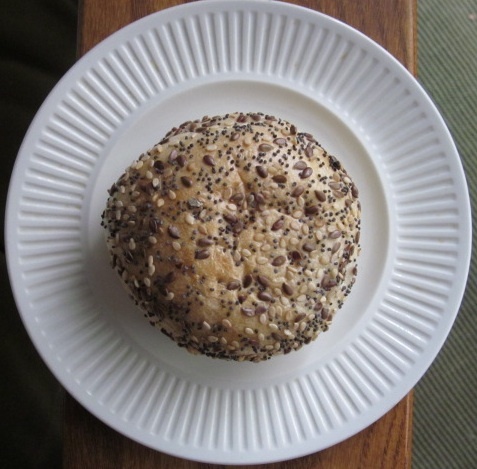 Flaunting my small spender status, I recently went to my go-to Upper West Side market, Fairway, and purchased this single 69¢ dinner roll, called Three Seed. 69¢ Three Seed roll or two for $1.38. 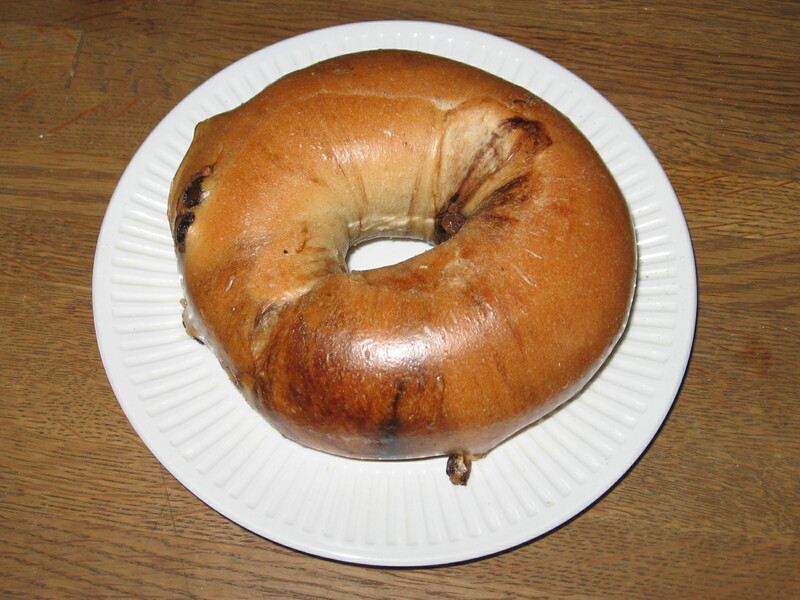 Clerk: Is this a bagel? After I shellac it, it’s going to be a conversation piece about various ways I waste my time to avoid doing anything of worth with my life. Good question. I was wondering the same thing. I was sure you’d know. Guess I need to find myself a new roll Sherpa. No. Bagels have holes [inaudible muttering] like the one that’s expanding in my head right now. Who the hell works in a grocery store in New York and doesn’t know a bagel? Lame Adventure 303: Am I Hallucinating? The short answer to that question is, “That’s always a possibility.” I was sitting at my desk at work effectively feigning consciousness when I looked up at the shelf over my computer and saw a rainbow. Looking up under the rainbow. Me (thinking): Holy crap! What’s this about? If Judy Garland started singing Somewhere Over the Rainbow on the iPod in my mind I would have accepted the possibility that I was likely suffering a flashback from some chemical I may have ingested in my past. I highly doubted that the English Breakfast tea I was sipping at that moment after polishing off a cup of Life cereal in skim milk would have triggered any visions other than my constant craving for a bagel. Since there is supposed to be a pot of gold at the end of a rainbow, I was prompted to look behind my desk to see what was there. 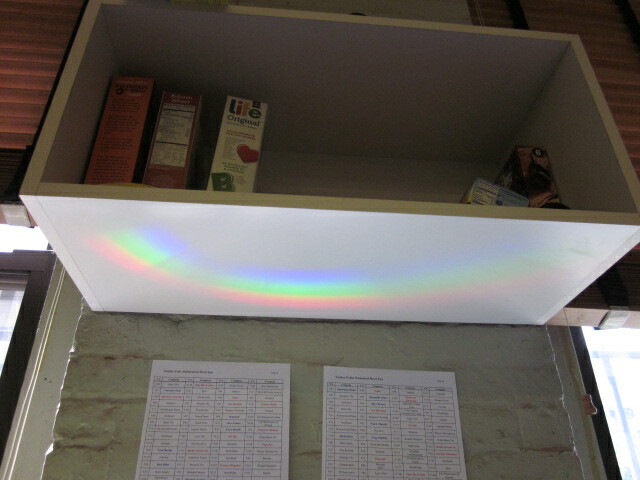 Curious, I peeked behind my monitor, half expecting an encounter with the Lucky Charms leprechaun. Rather than finding a vessel overflowing with riches or a silo full of noxiously sweet cereal, I only saw a sobering sight; a piece of cement floor tile in the foreground and bright sunshine bouncing off a CD behind it. 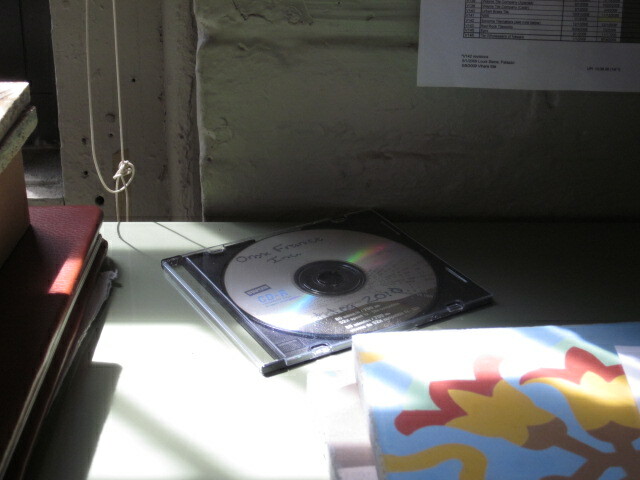 The CD was the source reflecting rainbow colors on the shelf above. That brought my day tripping to an abrupt end, until I recalled a popular song from my youth sung by my fellow traveler, Lesley Gore. It features sunshine, rainbows eventual tooth decay and can probably lead to alcoholism if heard often enough. Weekends are prime time for me to indulge my literary pursuits and this past weekend was no exception. Saturday morning around ten o’clock, I was home, six minutes into working diligently on my current pet project, the book for a musical about itchy, dry skin, when I was suddenly compelled to take a nap. As I was resting my head on my keyboard, I heard the familiar thuds, thumps, and drags of an upstairs tenant moving out of my brownstone, Casa de la Shangri-La. Since there was no sleeping through that racket, I stayed on the computer and read a fascinating email from Duane Reade featuring the Goddess of Adventure — a smiling woman half my age and forty-fold my fitness level surfing. Borrowing a page out of the classic tampon ad proclaiming that tampon users can swim, play tennis and ride horseback, the 21st century version of that message declares that this woman is able to ride ocean waves because she shaves with the Venus Embrace. With the right toothpaste, I can also pilot a plane! Reflecting that I shave with the Erida Reject, could this shine a light on why I nearly landed on all fours while stepping off the curb in an effort to cross West End Avenue en route to purchasing a bagel? Yet, I am getting ahead of myself. First I had to exit my building to walk up the street to West End Avenue to engage in this act of ill coordination. 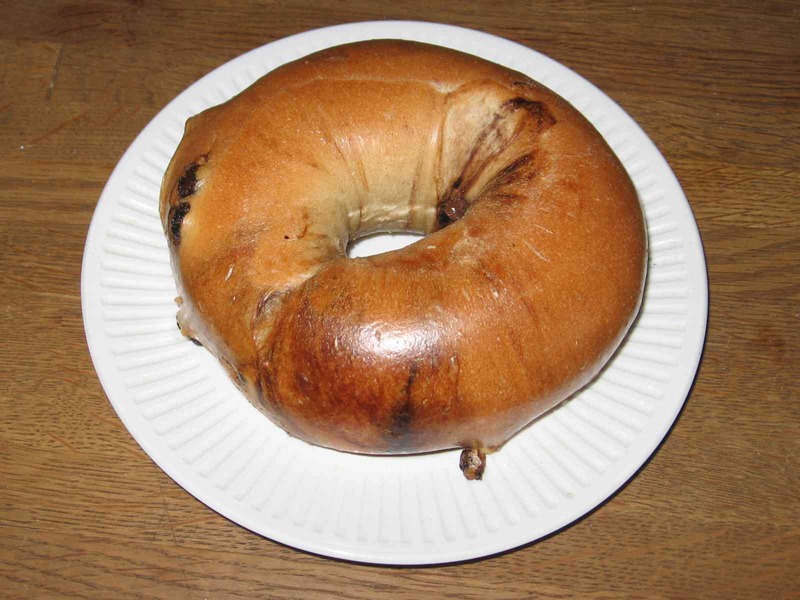 Once the sounds of moving had subsided, I realized that I was hungry for a cinnamon raisin bagel. Knowing that the coast was clear and I would not be in the way of the departing tenant(s), I decided to venture outdoors, a generally uneventful endeavor. 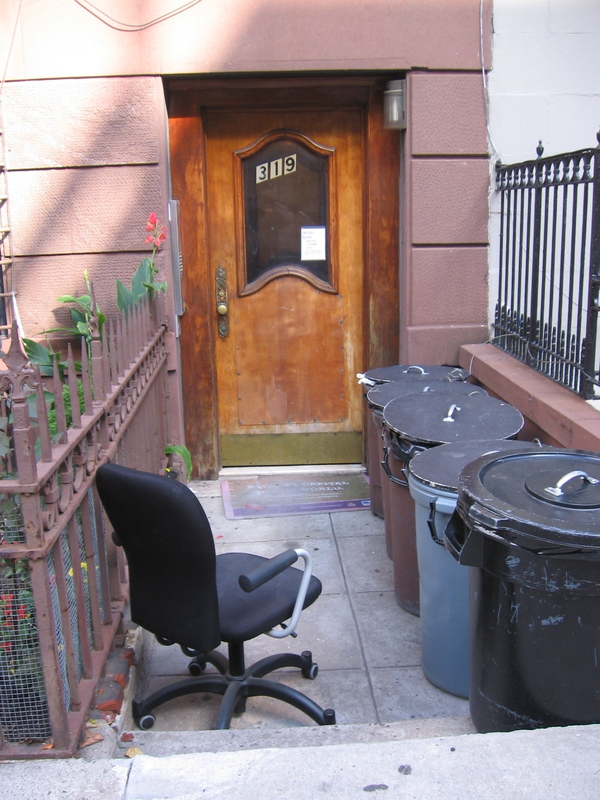 Just as I opened the door of my building leading to the outside world, what do I see but a crappy chair on casters blocking the walkway. Had whoever left it parked it closer to the front door, my more whimsically-inclined mentally impaired neighbors could have sat in it and pushed their way over to different trash cans to make their deposits. I briefly considered moving it up to the sidewalk but just as briefly considered pulling a hamstring. Therefore, I walked around it, walked up the street on my bagel errand, and almost fell off the curb when my faulty peripheral vision mistook a pigeon for a rat. 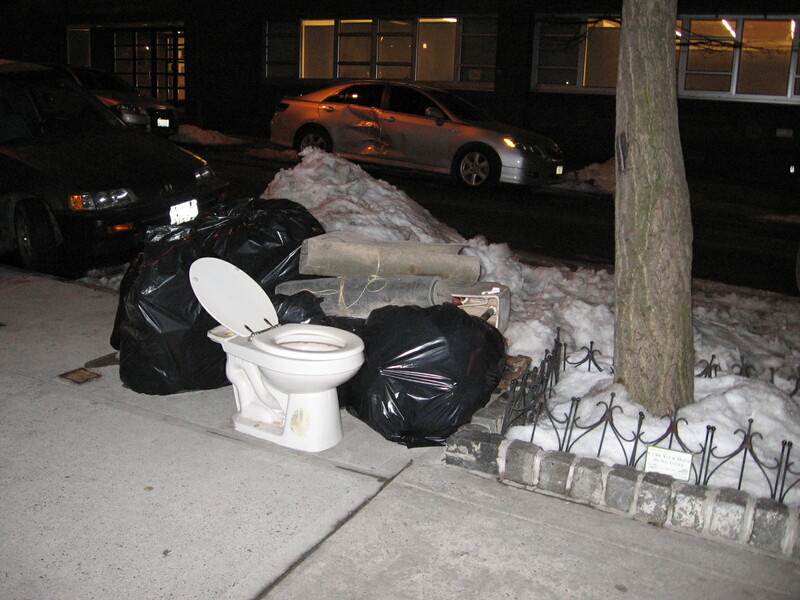 When I returned home, bagel-in-tow, the crappy chair still stood proudly in the walkway rivaling the toilet with the open lid that had been placed in front of my building on a snowy night last February. I did not dare look at whatever might be in the bowl. An image of my block not found on Google maps. A more pleasant site, that cinnamon raisin bagel. 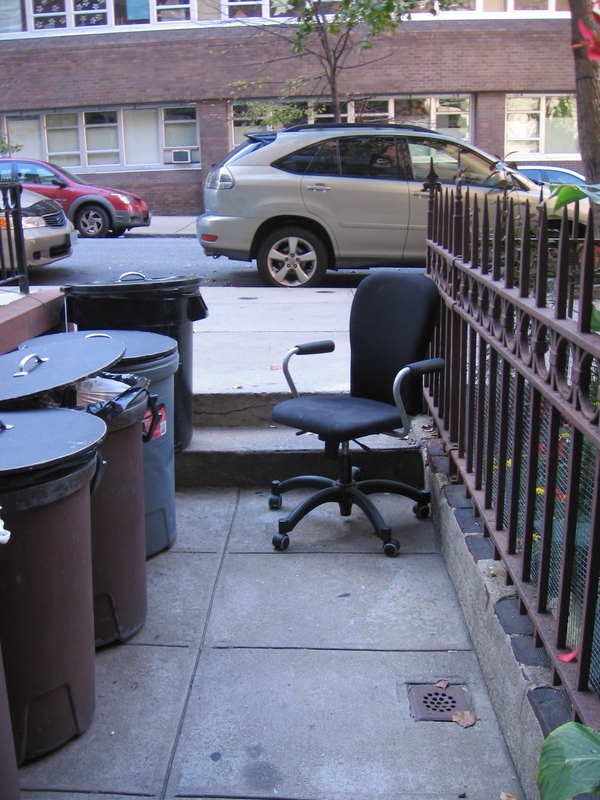 On any given day in the many trash heaps throughout Gotham City, the eyesore pile is bound to visit my building. Or not. The second time I went out, someone had moved the crappy chair up to the sidewalk outside the gate where the recycle cans are located. The third time I went out, it had relocated west in front of a tree near a building two doors down. The fourth time I went out, it was gone. I suspect it has found a second home proving the new adage that one tenant’s trash is another’s source of bed bugs.